Slate slab, incised with the words 'The Craftsman's Art'. 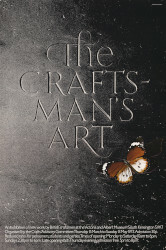 The Craftsman's Art, Harry Meadows, 1973, Crafts Council Collection: B24. Photo: Stokes Photo Ltd.